Ferrari is perhaps one of the most famous names in the post-1945 automobile history. Based in Maranello, Italy and founded by Enzo Ferrari in 1929, the company-sponsored drivers and manufactured racecars before moving into production of street-legal automobiles in 1947. Noted for its continued participating in racing, particularly in Formula One, these exceptional cars are typically seen as a symbol of luxury and wealth. If you are looking to sell classic Ferrari models from the late 50’s to early 70’s, youve come to the right place! The team at Beverly Hills Car Club can assist you whether youre selling 1966 models including the 1966 330 GTC Coupe, 1966 330 GTS Spider or the 1966 365 California, or are looking to buy vintage Ferrari autos and the more rare 250 GT, 250 GTE or 250 GTL models. Looking to purchase a classic Ferrari? Ferrari had many notable models throughout its early years including the 275 GTB4 Coupe, 275 GTB and 275 GTS, the 365 GTC Coupe and Convertibles, the 246 GT Berlinetta Dino Coupe, and 246 GTS Bino Targa to name just a few. But, where do all these names and numbers come from? Until the early 1980’s, Ferrari followed a three-number naming scheme based on engine displacement. V6 and V8 models used the total displacement for the first two digits and the number of cylinders as the third. For example, the 206 was a 2.0L V6 powered vehicle. V12 models used the displacement (in cubic centimeters) of one cylinder. Therefore, the renowned 365 Daytona had a 4390 cc V12. Cars were also given designation by its body type. GTB stands for Gran Turismo Berlinetta, where GTO is Gran Turismo Omologata and GTS in the 300 GTS Convertibles is Gran Turismo Spider. To learn more about buying a classic Ferrari or to speak with the team at Beverly Hills Car Club to sell classic Ferrari models in your collection, please do not hesitate to call or email today! Whether you’re looking to sell or buy 1960’s Ferrari models, or any distinct European and American classic cars, the team at Beverly Hills Car Club stands ready to assist you. Connect with them today to learn more and to explore the options available when you’re ready to sell classic Ferrari models. They look forward to hearing from you soon and to helping you with all your classic and vintage auto needs. Connect today! For help buying, or to sell your vintage Ferrari, team with www.BeverlyHillsCarClub.com today. Our team knows exactly what makes these classic cars special, and will connect you to your dream car! 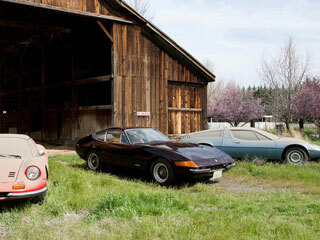 We Also Buy Classic Ferrari Autos In Any Condition, Top Dollar Paid.